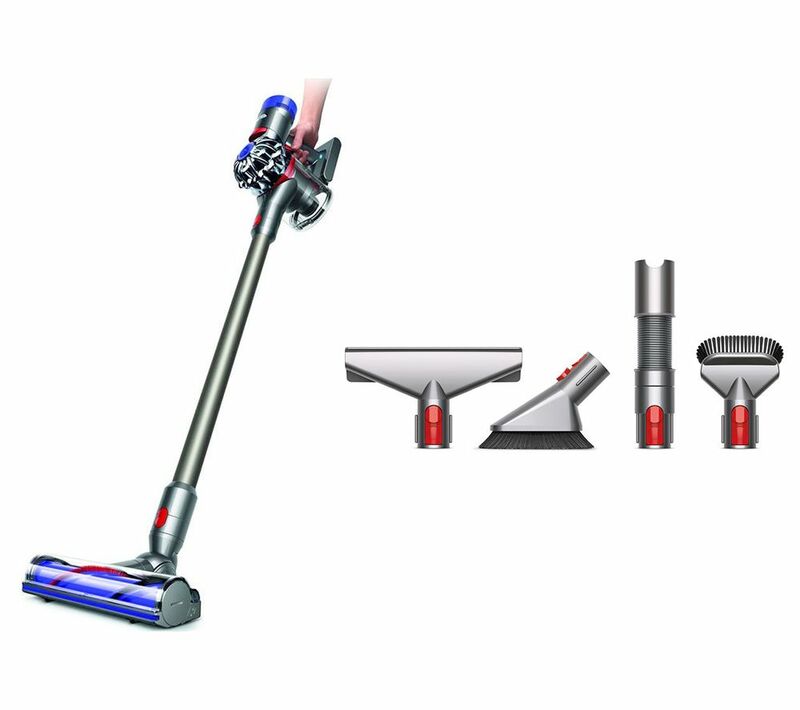 Keep your home clean with the Dyson V8 Animal Cordless Vacuum Cleaner & Handheld Toolkit Bundle. 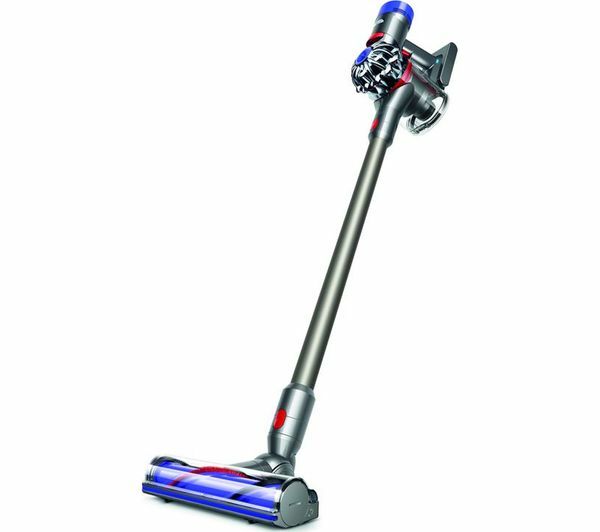 With a Direct-drive cleaner head, the V8 Animal drives bristles deep into the carpet. This makes the vacuum highly efficient, removing even more dirt and offering 150% more brush bar power than the Dyson V6 Animal. 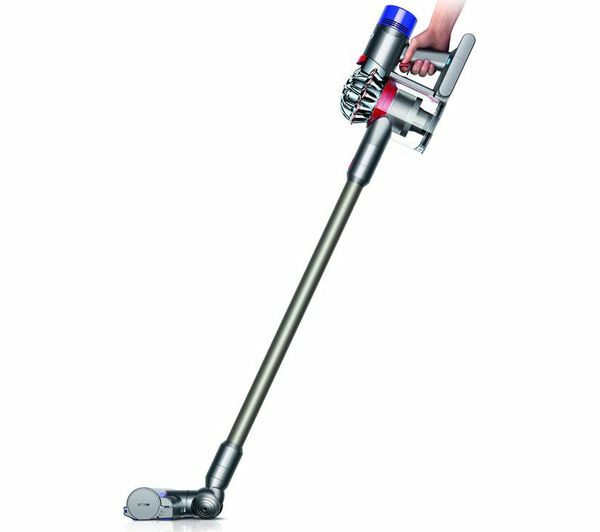 Capable of capturing allergens and expelling clean air, the vacuum is an ideal solution to keeping your home tidy and allergen-free. 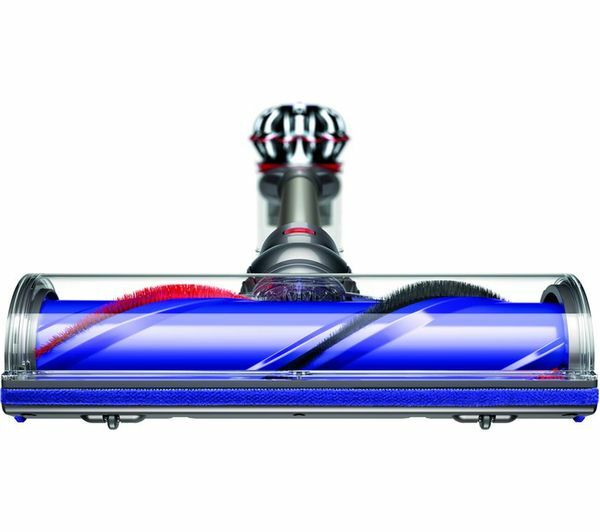 Powered by the Dyson digital motor V8, the vacuum offers up to 40 minutes of usage from a full charge. 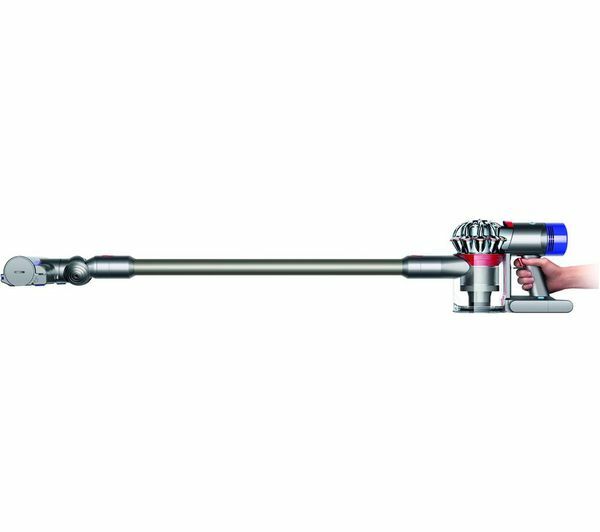 Max power mode can deliver up to seven minutes of high suction for tougher areas. 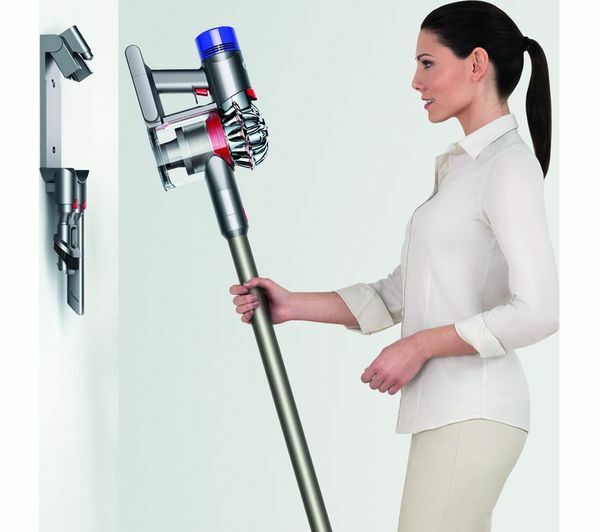 When using the motorised floor tool attachment, the battery will provide up to 25 minutes use. For added convenience, the V8 Animal can also be converted into a handheld mode, ideal for dealing with stairs, desks and the inside of your car. A bin emptying mechanism works to hygienically drive out dust and debris without the need to touch it yourself. 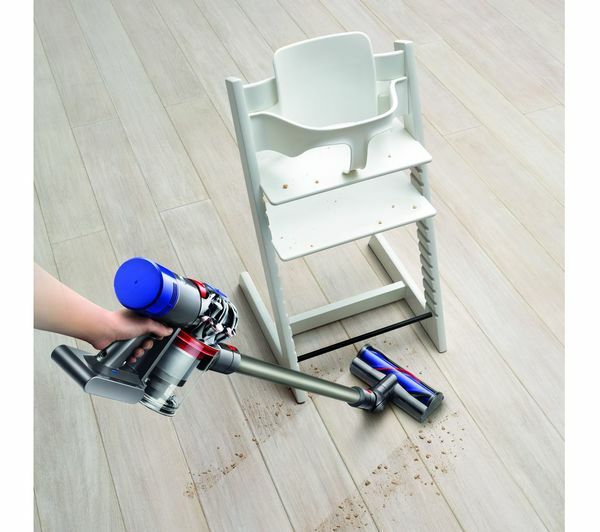 The dirt ejector is hygienic, and this vacuum cleaner has been certified as allergy and asthma friendly. 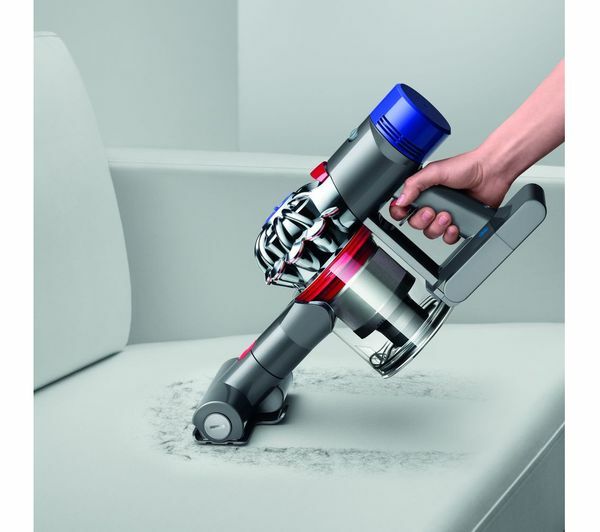 The included docking station, which can be placed in a variety of positions, can be used to charge the vacuum in five hours. 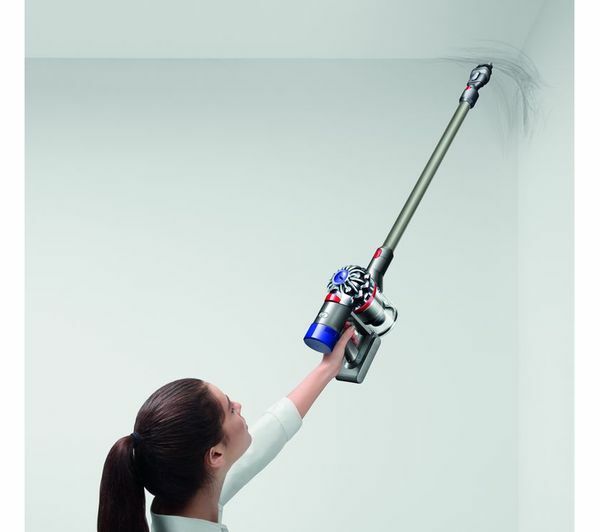 Suitable for use on a variety of surfaces including carpets, hard floors, laminate and tiles, the lightweight design of the V8 Animal also means that it can be used to clean areas high up. 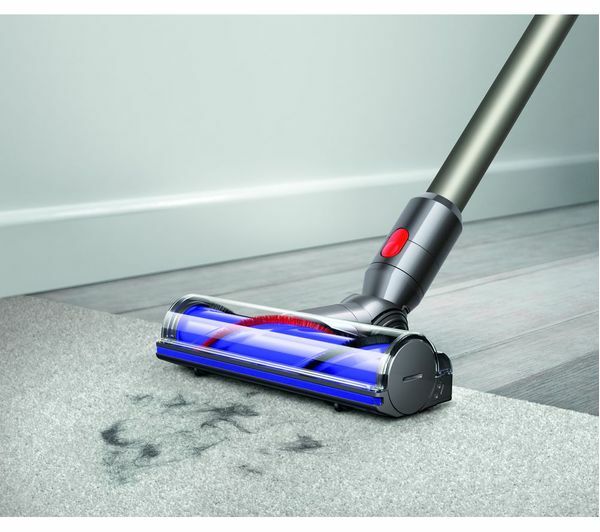 A mattress tool helps you easily remove dust and allergens from your bed, while the soft dusting brush is ideal for gently removing dust from flat surfaces and furniture. 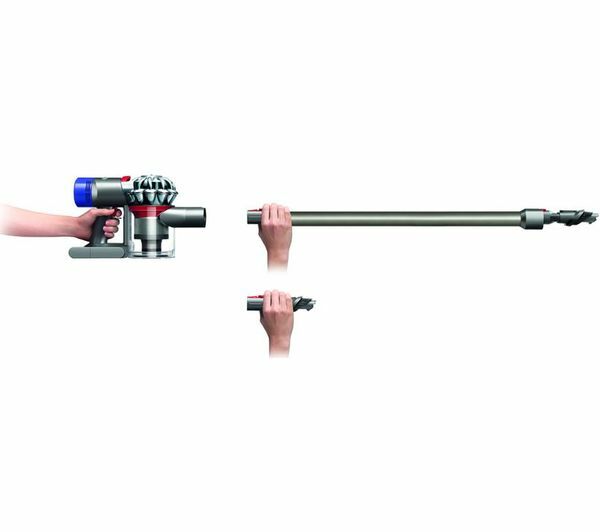 An extension hose is essential for cleaning hard-to-reach areas. 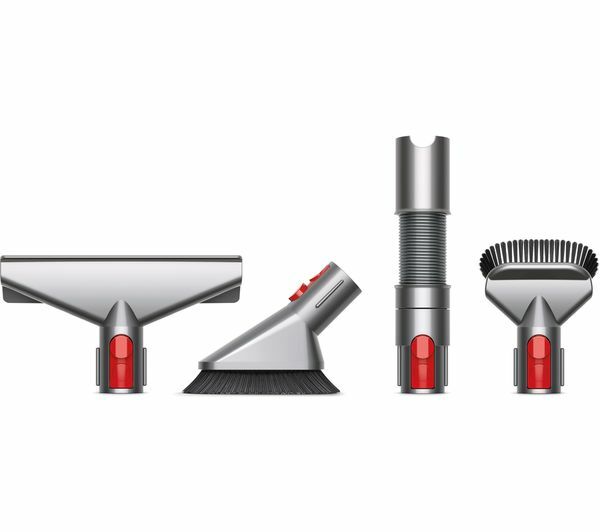 For mud and dried-in-dirt, the stubborn dirt brush removes stains using stiff bristles to help you keep your home looking cleaner.